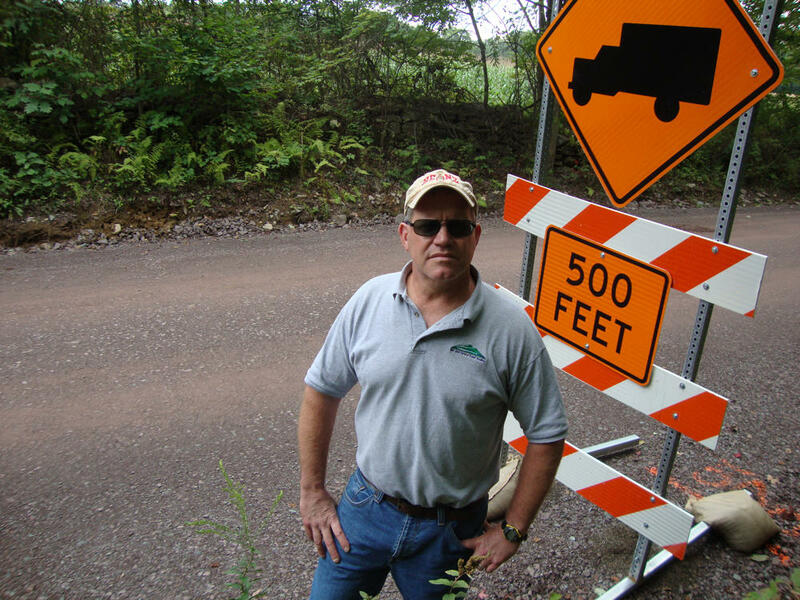 Tim Ziegler stands on the section of test road created specially to hold up to heavy Marcellus Shale drilling truck traffic. Marcellus shale drilling across Pennsylvania has expanded tremendously in the last couple of years. To extract the natural gas, companies drill straight down about 5,000 feet then shoot highly-pressured water mixed with chemicals and sand vertically through the shale to release the gas. It’s called hydrofracturing, or “fracking.” The whole process requires heavy equipment and millions of gallons of water to be trucked in over roads built to carry passenger cars. Travel with WPSU to Luzerne County to find out an unexpected environmental impact of ruined roads and the unlikely group that’s trying to do something about it. 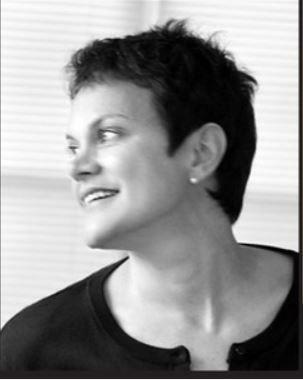 Julia Spicher Kasdorf is Professor of English and Women's Studies at Penn State University, and an accomplished poet. She took a sabbatical last year to visit areas of Pennsylvania affected by Marcellus Shale development, and is now completing a collection of documentary poetry based on her interviews with local residents. WPSU's Kristine Allen speaks with Kasdorf about her recent foray into "docupoetry." 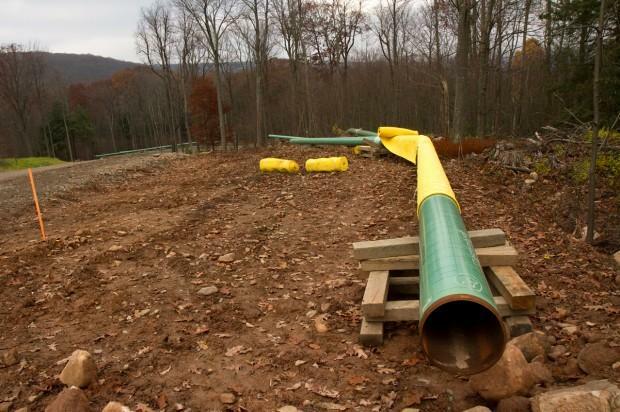 Many people are concerned with the environmental impacts of Marcellus Shale Drilling. 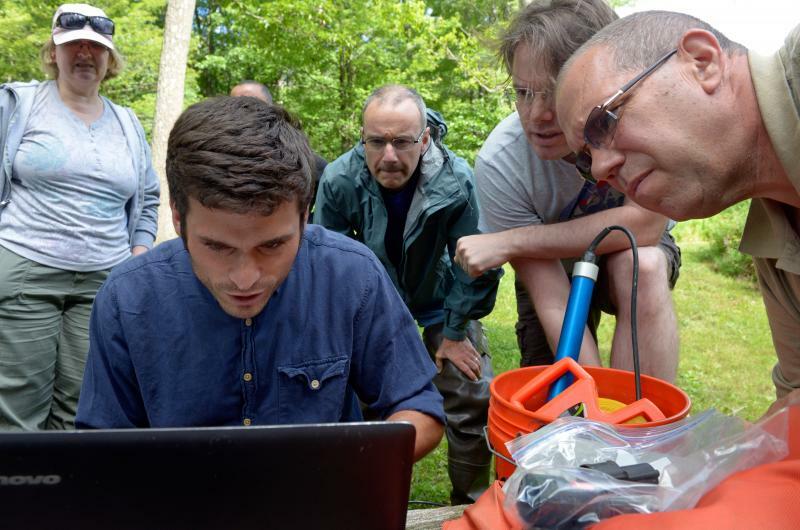 A group of high school teachers from State College are learning how to keep an eye on the quality of local rivers and streams so they can teach the skill to their students. Recently, a group of earth science teachers from State College Area High School splashed through Black Moshannon Creek. Some wore waders, others just rolled up their pants to wade through the clear, rushing water.